When my children eat the last of a item in the pantry or fridge, they always, always look for the Box Tops For Education badge on the box. Why? Because we make it a point to clip Box Tops and have for years. Box Tops is an important program in which after you buy a product with Box Tops on it, you can clip it, then turn it into your local school. The school can then turn it in for cash for the school. I think the program is wonderful and so helpful for the schools. It also is so extremely easy for everyone to participate in. Good Question! Even if you don’t have a child in school, the school still wants your Box Tops. Simply buy a product with the Box Tops label on it and clip it. Drop it by your local school. You can also participate in this Box Tops Offer: If you buy 5 participating items + Scan the receipt with Box Tops Bonus App = Earn $5 (50 Bonus Box Tops!) The offer is available through 1/31/18. :: Buy: Find offers. Buy Products. :: Scan: Scan your receipt. :: Earn: Watch earnings stack up. You can earn Bonus Box Tops in the Box Tops Bonus App in combination with the on-pack Box Tops clips and any other coupon, discount, store program or promotion. Here is the iTunes App and the Google Play App for you to download and start saving for your school. Our local grade school, Davenport Elementary, has competitions between the grades to see who can bring in the most Box Tops during the Box Tops Drive. The winning class gets a free snack from the monthly snack sale. So fun! The kids have fun with this friendly competition AND they are helping their school. You can help too! Start clipping those Box Tops and run them into your local school! 🙂 Our school, on average earns $2000 a year through Box Tops. We have bought personal computers, a swing set and this year they are purchasing items for the STEM curriculum. I view it as an easy way for everyone to donate to the schools. At Walmart, you can find a lot of products with Box Tops on the outside of the box. They are so easy to find. 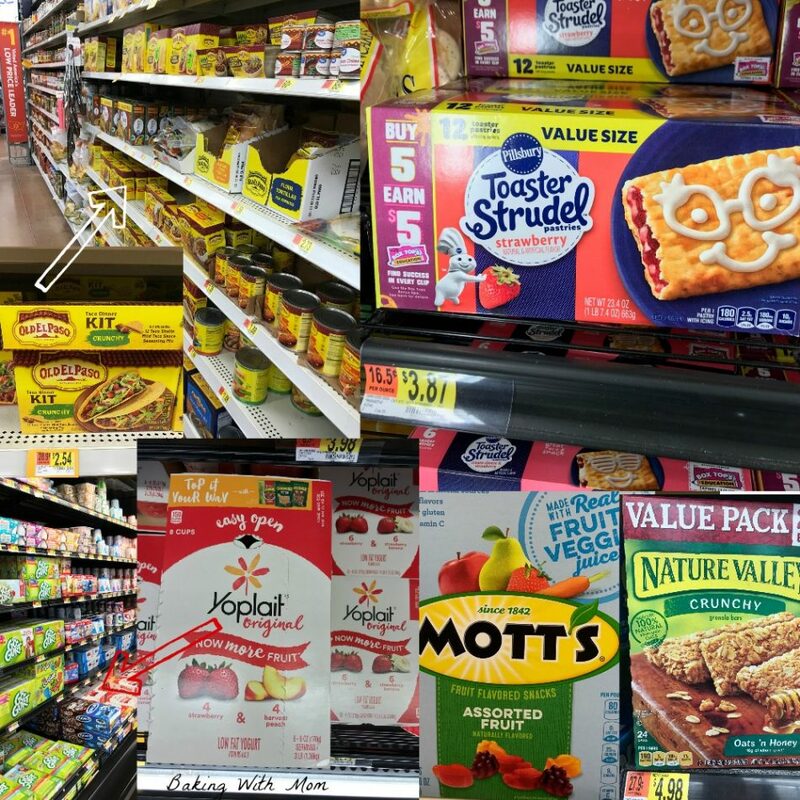 What is so helpful, you can find the Box Tops on a variety of items, so even if you aren’t in a stage of your life where you are buying Toaster Strudels or Fruit Snacks, they are on garbage bag boxes and tissue boxes as well! I even saw Box Tops on a lettuce bag! 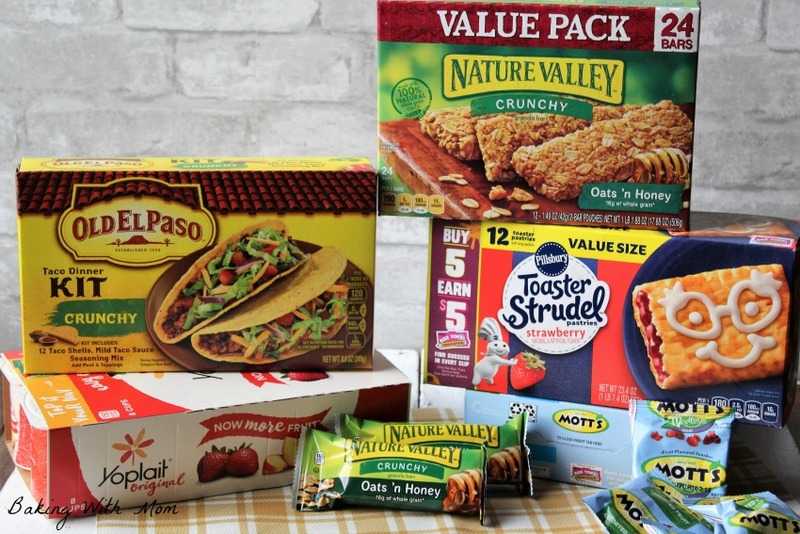 As for what we buy with Box Tops on them, the Old El Paso™ Taco Dinner Kit, Pillsbury™ Toaster Strudel™ Strawberry, Nature Valley™ Oats ‘n Honey Granola Bars, Mott’s Medleys® Fruit Snacks and Yoplait® Original Fridge Pack (Peach and Strawberry) are not only enjoyed at my house, they are appreciated for breakfast, lunch and supper. Mott’s Medleys Fruit Snacks are a favorite for snack. My family loves to eat muffins and I like putting them in their lunch boxes to eat at lunch at school. They are also a great after school snack. 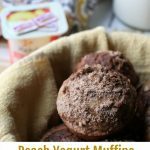 I thought I would whip up a batch of Peach Yogurt Muffins for the family. 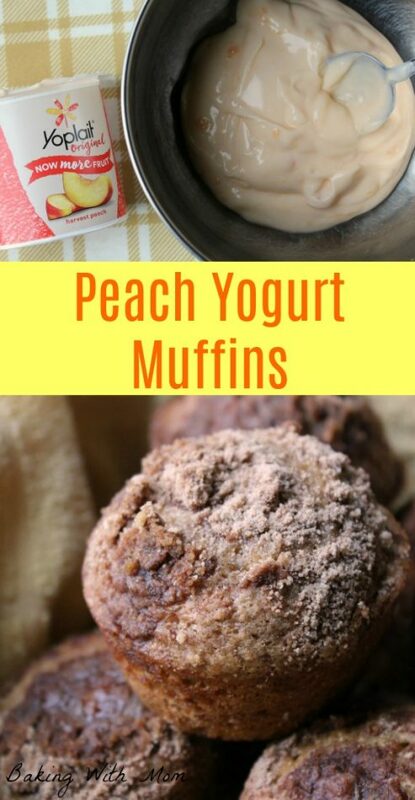 When at Walmart, I picked up the Yoplait Original Fridge Pack (Peach and Strawberry) to use the peach yogurt in the Peach Yogurt Muffins. Finding all of these products is so easy at Walmart. The Mott’s Medleys Fruit Snacks and Nature Valley Oats ‘n Honey Granola Bars are next to each other in the cereal aisle. 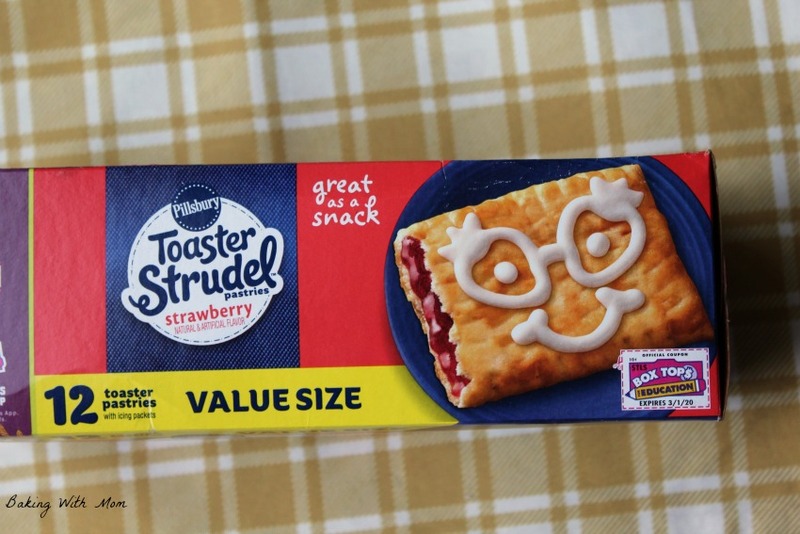 The Pillsbury Toaster Strudel Strawberry is in the breakfast freezer section. Delicious! 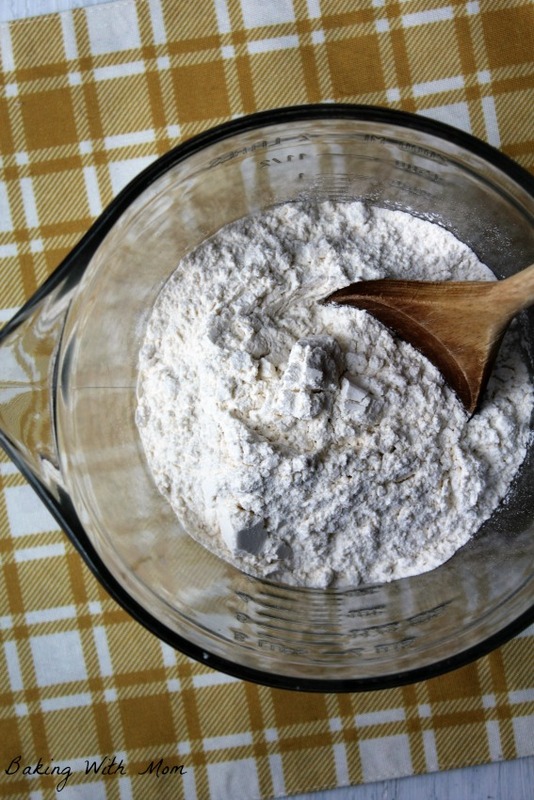 To make the peach yogurt muffins, add all the dry ingredients to a large bowl. Set aside. 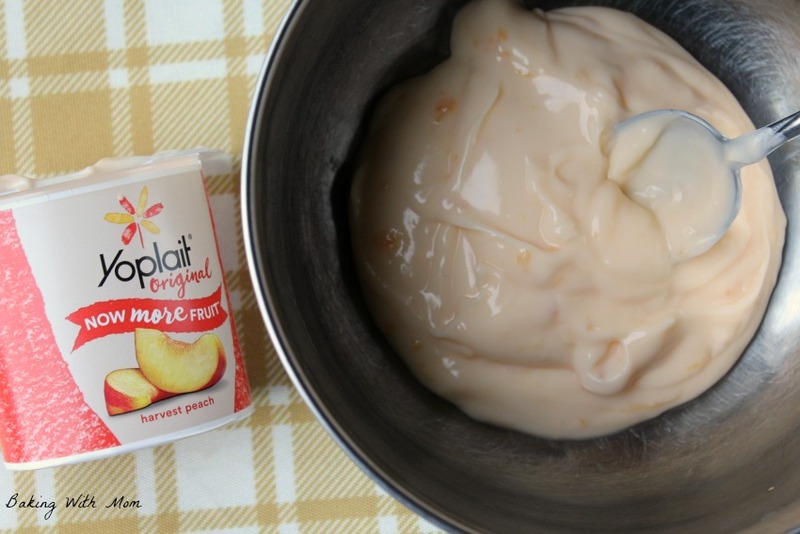 Put contents of one peach yogurt cup from the Yoplait Original Fridge Pack into a small bowl. Add in the wet ingredients and stir. 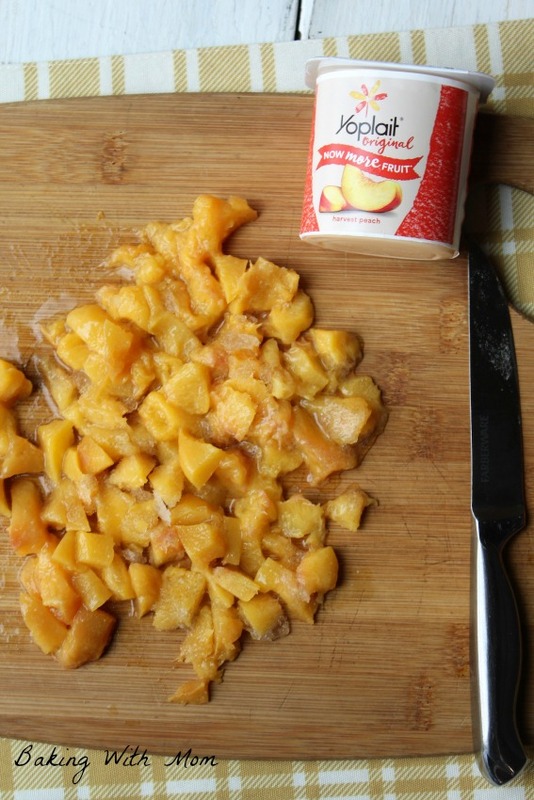 You can use frozen or fresh peaches but chop them into small pieces. After mixing the wet ingredients into the dry ingredients, fold in the peaches. Put into a greased muffin pan and add the streusel topping. Bake at 350* for 20 minutes. 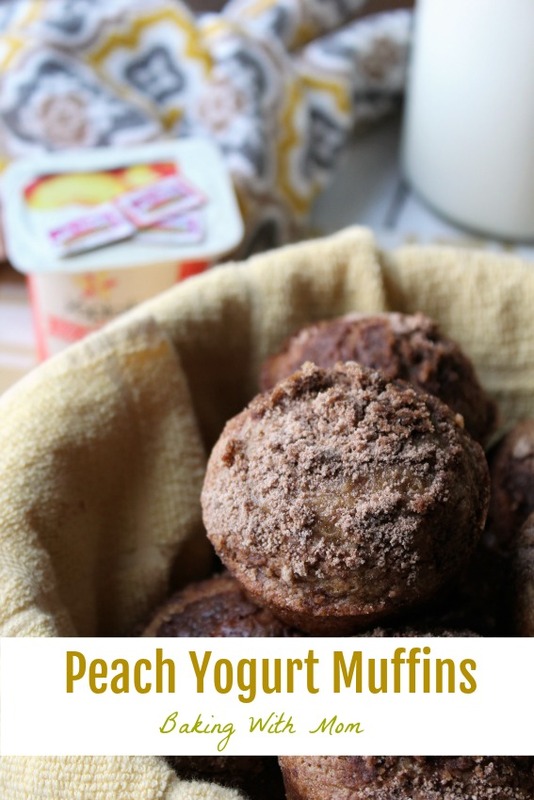 Peach Yogurt Muffins are so easy to make and are a favorite around here. Best of all, you can earn money for your school and feed your family at the same time. Be sure to check out the Walmart Box Top link for a list of participating items you can buy to support your local school. Peach Yogurt Muffins with peaches, peach yogurt and cinnamon. A moist muffin with streusel on top. How many ounces of peach yogurt ? What size container ? Oh, I’m sorry, 🙁 Whoops. You can use one individual yogurt cup. I don’t have the exact ounces at the moment because I don’t have any at home at the moment but I would say it’s a 6 oz cup. Hope that helps! Can I use canned peaches ? Yes, I believe you could. I would drain the peaches first and maybe even dab them with a paper towel to make sure extra juice is off of them. 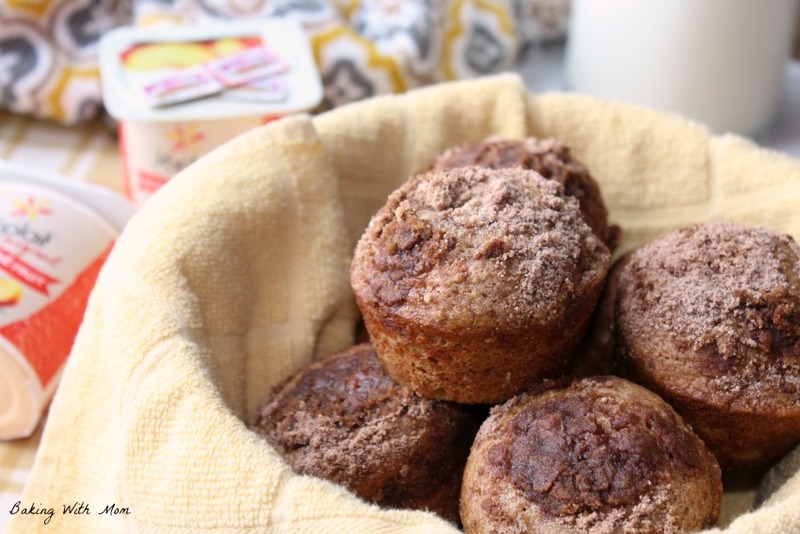 We love collecting box tops, and these muffins look de-lish! What a fun way to enjoy yogurt! I love that Yoplait has lowered the sugar content. Box Tops are such a blessing to schools! And I am getting requests for yet another batch of muffins. They were delicious! Ohhhh these muffins look so good! And peach yogurt is one of my favourite flavours!